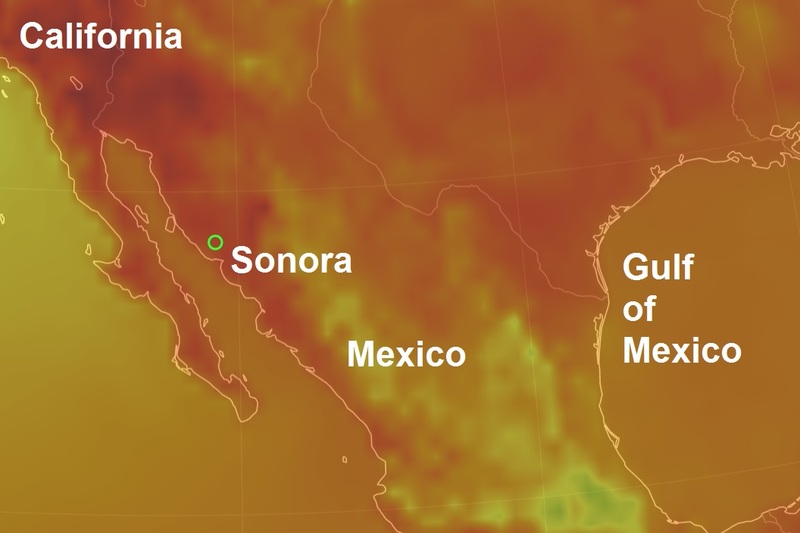 The heatwave that hit northern Mexico left at least two people dead and more than 100 hospitalized, the Healthcare Ministry of the northwestern Mexican state of Sonora said. The temperature exceeds 40 degrees Celsius (104 degrees Fahrenheit) in the shade sometimes reaching even 50 degrees Celsius. The normal weather in Sonora in July implies the temperature of about 32 degrees Celsius. A total of 55 people were hospitalized over dehydration and 24 more - over sunstroke, according to the ministry. The largest number of people affected by the heatwave is registered in the municipality of Hermosillo. The Healthcare Ministry of Sonora also said that another heatwave killed nine people by mid-July last year.